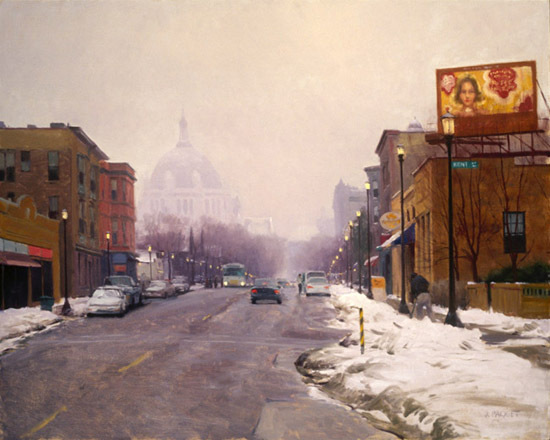 Not only is John Pototschnik a fine painter but also a gifted and probing interviewer. He gave me much to think about in answering his questions. 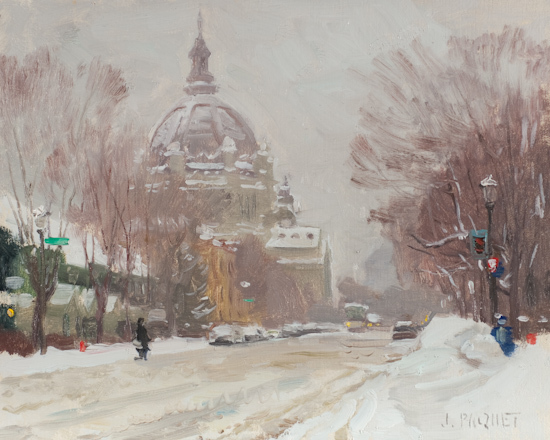 "If you speak with Joe Paquet for any length of time, you will quickly discover that he is very passionate about painting…about creating ART…not just churning out a PRODUCT. "The need to say something is a far cry from the need to be heard," he says. "There is art and there is product and they are rarely the same thing." He is opinionated and decisive. He's not afraid to take a stand, buck the norm, even stand alone if necessary, in order to make a well-reasoned point. For example, he believes many artists do not properly value their intellectual property. "Monetizing one's knowledge and creations is harder now than ever before because of social media. If artists don't value their own content, no one else will." 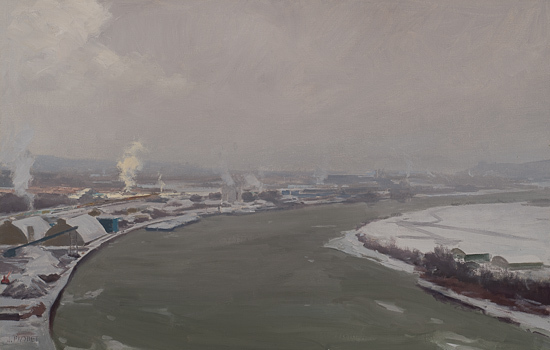 Paquet also believes that artist's insecurity often translates to a lack of self-value. 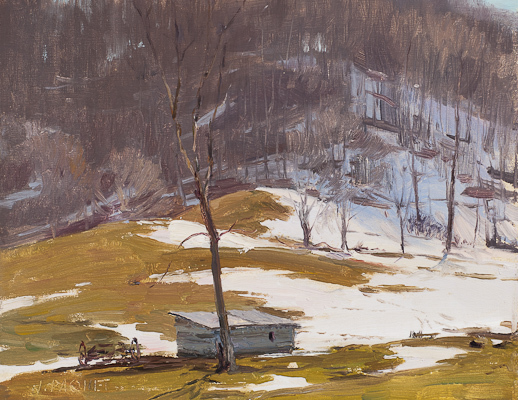 "We are often asked to contribute content, or the art itself, with the proviso that we will enhance our careers – the old line – "I will gladly pay you Tuesday for a hamburger today." 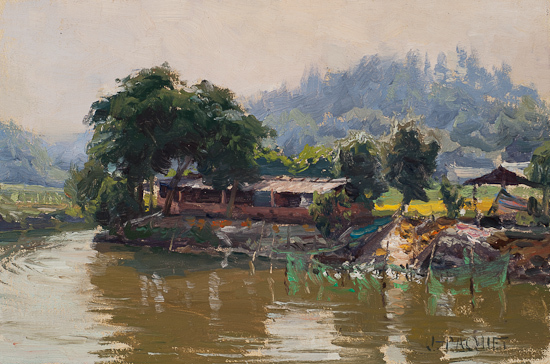 The above painting has been accepted and will be shown in the exhibition. For those of you who may not be familiar, the Samagundi is the oldest art club in the US. Its rich history includes many of the great American Impressionists and has a library, dining room and great art collection. It's worth a visit. I have the honor of being asked to be the keynote speaker at this wonderful event. 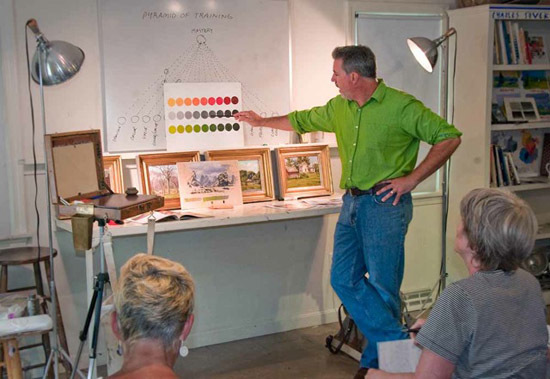 The weekend combines lectures, critiques and demos from nationally prominent artists in a spacious environment at a nominal cost. 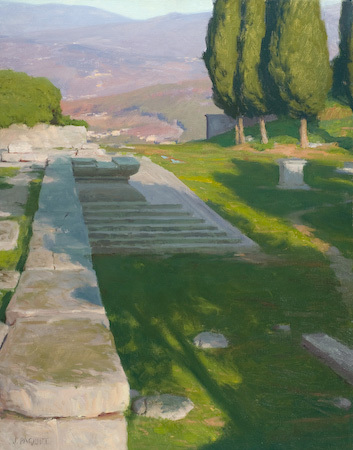 If you have not had a chance to see it, the show is a stunner with a great collection of guest artists this year as well. The folks at the Haggin did an amazing job. 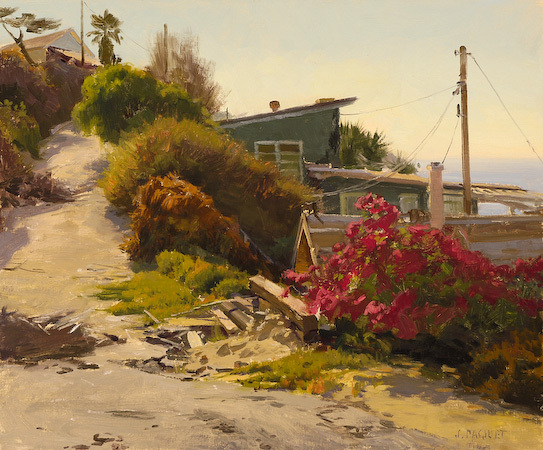 On Saturday, June 11, 2011, nine nationally acclaimed plein air artists will display their interpretations of Catalina's rugged wildlands as well as Avalon and Two Harbors at the Catalina Country Club. 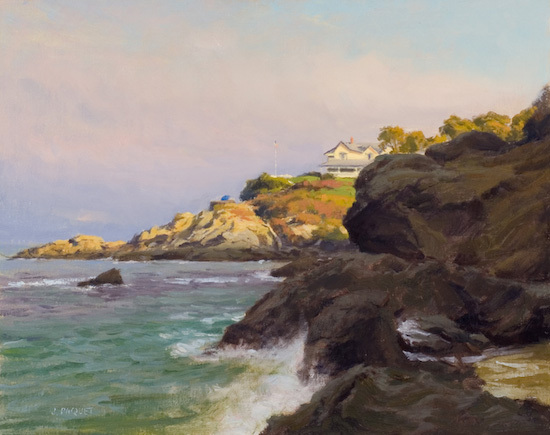 Proceeds from the sale of these unique paintings will help to establish a permanent collection of plein air artwork that documents the Island's "wild side" and the Conservancy's restoration efforts. Click here for ticket information and event details. 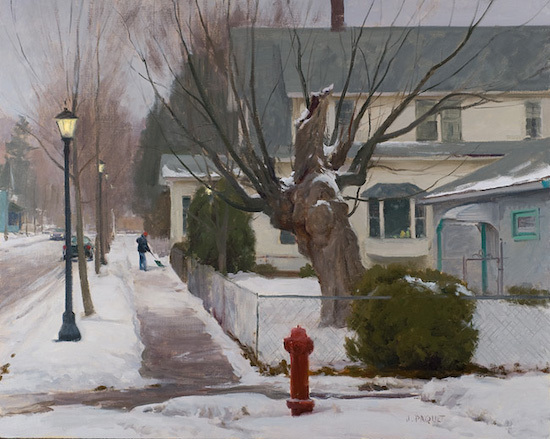 Joe will be unveiling 17 new small works during the Spring Art Crawl. Click here to preview them! This is the trailer for Joe's segment. The premiere episode airs April 22nd at 7:30pm on TPT2. More information about the show is available on there website. 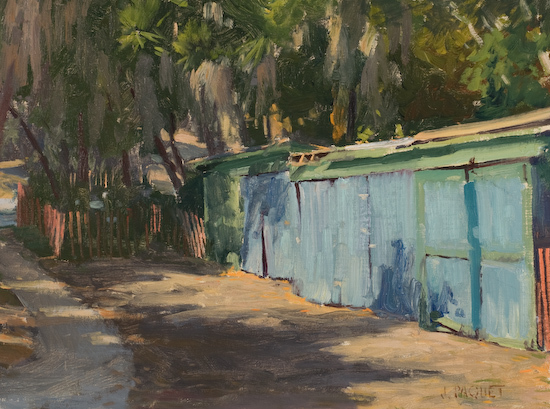 The next issue of American Artist Workshop Magazine due out May 17th, features an article about Joe's Cape Cod Workshop written by Stephen Doherty. Photos by Steve Smith, including the image above. 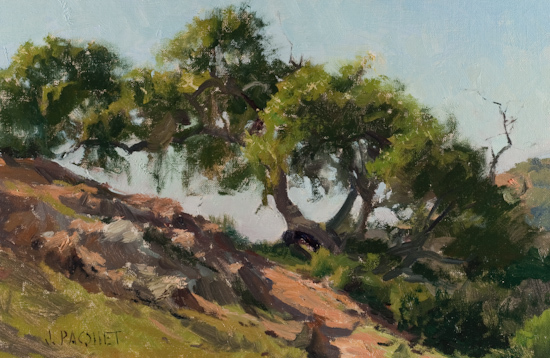 Preserving Santa Catalina Through Art - Sold Out Show! 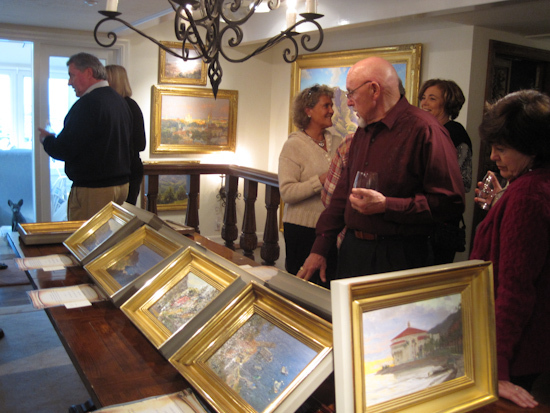 Roy Rose kindly hosted a show of fourteen of Joe's paintings at his house on Catalina Island. 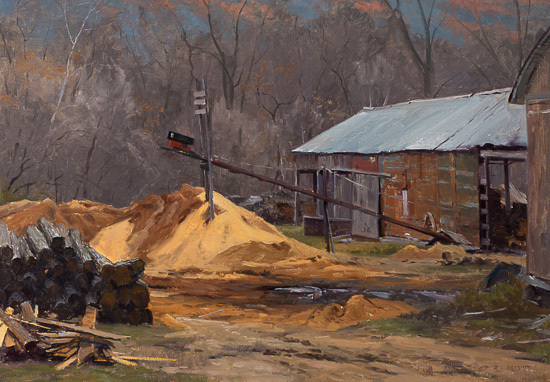 See all of these paintings on the recent paintings page. 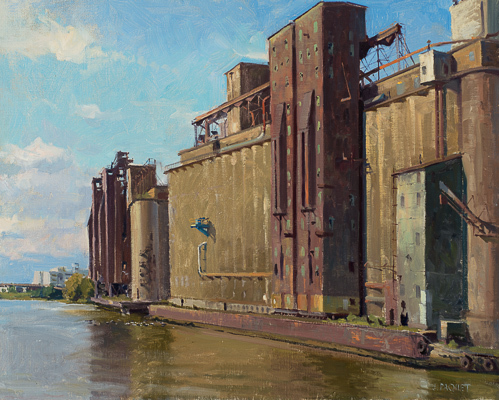 Several publications have interviewed Joe recently, The California Art Club Newsletter and The Villager, you can read the full articles reprinted here. 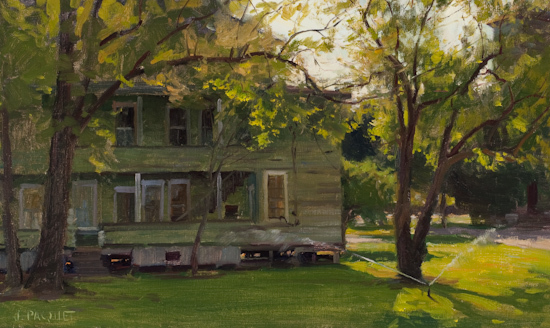 Several of Joe's paintings appear in Mitch Albala's new book. Mitch's two-and-a-half-year project is done and will be published November 17th 2009. 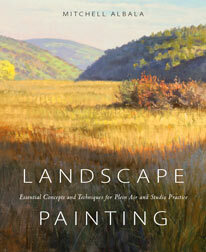 Landscape Painting: Essential Concepts and Techniques for Plein Air and Studio Practice is available to purchase on Amazon here. Additional info is available at Mitch's website. 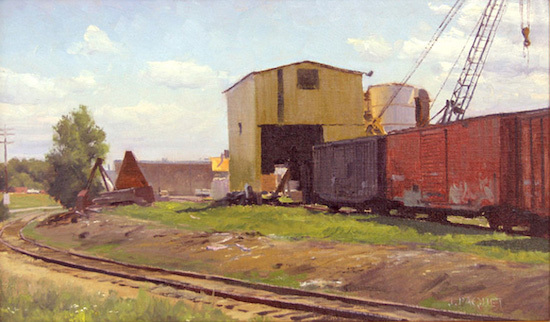 Pigs Eye Railyard 12" x 20"
Moss Pointe, 16" x 20"
Corner of Kent & Selby, St. Paul 24" x 30"